Our life revolves on the axis of time. Of which, the past, present, and future are the 3 main aspects. We learn from our past, apply on our present just to secure our future. However approximately 85 percent of the Indian population doesn’t work hard for this rather they go to a Babaji to seek the best instruction for their bright future. We respect the Indian mythology that states the star to be the most powerful but gone are the days when people knew how to read the art of star. Nowadays all you find is a baba that claims to predict your future but only after a greasy palm. This is the first weapon to make you their fan. Everybody got ditched once in his lifetime. What is new in it? They tell you the reality of life. Our life cycle is all about money. Even the baba wish to earn doesn’t him? Indeed, I am, I earn for my family & for my future. I help others because that was a moral science lesson I learnt in my childhood and I guess everybody does. That is something every person feels once in his/her lifetime. It is called being depressed and you do not need to predict it can be seen and felt easily. Now tell me who doesn’t fell ill. In this polluted planet, every individual is prone to illness and diseases. The medical science has a list of such diseases. I guess the Baba Ji should have a copy. I know it about myself because I have earned much for myself. 90% of the population has this feeling and mostly are right (except some lazy lads that hard work is fictitious). Do you need a certificate of achievement from the Babaji? This is the ultimate goal of everybody’s life; to live a happy & prosperous life. 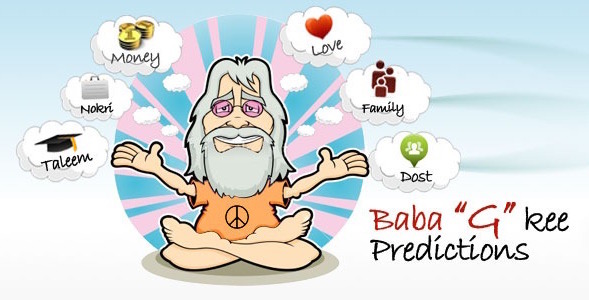 So if the Baba Ji tells you this he is not predicting any this out of the box. Oh, my god!! How does he know that? Even my parents are not aware of this fact. Just chill today the love word is so common. Everyone has it. If you can be happy why can’t you have your share of sorrow? And if you can help me in this I would rather ask you to help the poor people. Hope you may not fall prey to any Baba Ji anymore.